I'd like you to be honest for a moment and think about how many times you were in such urgent need of new cleaning technicians that you skated through the onboarding process in a matter of hours. I'm going to guess it's been more times than you'd care to admit... right? Applicant comes in for the interview and you ask if he can start tomorrow. He shows up for orientation and you have him fill out the required paperwork. You run through the important points he needs to know for Safety Training (such as wearing PPE and cautioning about never mixing chemicals). You take him to the location and show him around. You have him follow you around as you explain what you're doing, having him watch you clean. You have him start helping you clean. You look at your watch because he's moving pretty slow and you could have been to the next building by now! You finish up and tell him to meet you the next day. Now some of you may be chuckling at this scenario, but that's most likely because you've done this before! What I want to suggest is that you slow things down a bit. Well, not a bit... a lot! Remember that old saying, "Hire Slow, Fire Fast"? Hire slow is the key to making this work so you can retain quality employees. Pre-Orientation. Send the new hire a welcome message that also reminds him/her of what to bring on the first day. Also prepare the paperwork ahead of time, and make sure they have a clean uniform and nametag ready to go. You don't want to give a bad impression on their first day by being disorganized and unprepared. First Day. Let your receptionist know when the new hire is arriving and make sure she is trained to make the new hire feel welcome. Give the new hire a tour, introducing him/her to others in the office. If you have a bulletin board in your office with employee news, post the new hire's name and photo to make them feel welcome. If you publish an employee newsletter, be sure to welcome all new hires by name and publish their photo. I won't go through the entire new hire checklist here, but be sure to provide all the appropriate paperwork and give them their own copy of your Employee Handbook. Better yet, provide an Orientation Packet with all the necessary documents. Then proceed to work through the Orientation. Don't rush this part -- they will know if you're rushing to get through and it will give them the sense that you really don't care. Be sure to spend plenty of time on the Employee Handbook so they understand more about the culture of the company and their role, as well as the rules and regulations. Take the time needed to work through the training at your office. Some companies do a quick orientation then go right out to the job site and start training. Others spend two days at the office, doing orientation and safety training the first day, and then doing the rest of their training on the second day. Many larger companies spend several days training at their office before moving to the location. 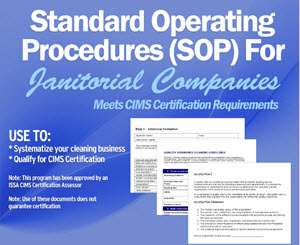 Your new cleaning technicians should receive a minimum of 2 days of personalized training at your office before sending them out to the job location. At the location, you may be doing the training yourself, or handing off the new employee to a supervisor. Be sure they are introduced to any other team members at the location. Also make sure they know all the procedures for entry into the building, security of keys or key codes, location of the janitor closet, emergency procedures, timekeeping procedures, and SDS Sheets. All that happens before any cleaning starts. After the first week (assuming your supervisor is doing the training), stop by to meet with the employee to check their progress. Encourage communication between the employee and the supervisor, and also identify any concerns that need to be resolved. After 30 days, survey the employee to get feedback on your onboarding and training process. If they offer feedback that should be addressed, be sure to take action instead of ignoring any new employee concerns. Sometimes a fresh perspective from a new hire is all you need to see what can be improved in your company, so don't discount their ideas. Did you know that about 20% of employee turnover occurs around the 45 day mark? This is a good time to assess your new cleaning technicians to see how they're fitting into the job. Determine if there is anything you can do to make their job more satisfying. It usually takes about 90 days for employees to fully acclimate to the job. It's also a good point to review their performance, give feedback and raise concerns. Make sure the supervisors are involved, asking how they can help the employee. Also ask the employee for suggestions or ideas for improvements. Here again, new employees can often bring a fresh perspective that we might not have thought of before, and it gives you a chance to show that you are really interested in their opinion. These are just 10 ideas for slowing down the onboarding process but there are lots more. Won't you share your tips for a more engaging onboarding experience? How do you make your new cleaning technicians feel welcome? Please share your comments by clicking on the Comments link below. 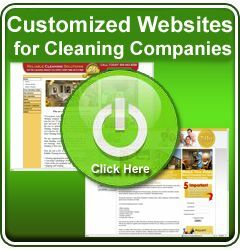 What Type of Cleaning Business Owner Are You When it Comes to Profitability?